It is my pleasure to present another installment of Redemption Sessions! This Sept 2014 Equinox edition delivers with 2 and a half hours of boom bap goodness for your listening pleasure. 1213 Radio and the Redemption Sessions show have been around for 7 & a half years but this is the first “official” episode in which will be labeled with a number to kind of keep things in order as we continue forward. A Tracklist is provided below. It’s a blessing to have this opportunity to be a part of a growing global community. Thank you for your continued support! 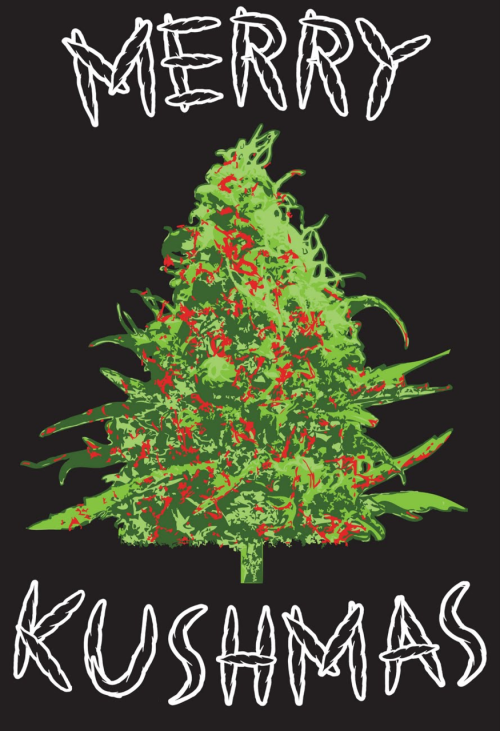 Happy holydays/Merry Kushmas! A gift from 1213 Radio to our listeners and supporters. Here is the final segment of the Redemption Sessions radio show/podcast for the 2013 December Solstice. I play 3 Xmas themed songs that are essential listening for all hip hop heads. Added a couple of Boondocks clips to coincide with the message, then finished off the show with a couple of spiritual/upliftment tunes: a classic Scienz Of Life track followed by one of Jasiri X’s best cuts to date. Download the mp3 or listen to it using the media player below. Be sure check back here for the 3 hour complete podcast of the show in the next day or two! Peace! On this day in 1945 Robert Nesta Marley (also known as Bob Marley) was born. This is another tribute to his legacy and the infinite gift he gave to the world. There are several documentaries on Bob. This one is titled Prophecies And Messages. Rest in peace soljah. Bob Marley was very firm in his convictions. He explains the importance of Rastafari (to him). He also talks about nuclear power, capitalism vs. communism, and many more important subjects. Bob Marley was a humanist who maintained a vertical relationship between him and his maker. He disregarded rules that were designed to oppress humankind and called on everyone to resist them and to seek freedom, equality, and fairness. Firm, conscious and serious message that is even more relevant today. Watch at your convenience. This post is in honor of an innocent young man, Trayvon Martin. Today would’ve been his 18th birthday. Rest in peace. How bout I grab you some skittles kid. I’ll be right back in a little bit. And George Zimmerman wasn’t even arrested. The message is only white lives are protected In America. It’s my pleasure to present to you 1213 Radio’s final broadcast for 2012. 3 hours packed with that metaphysical boom bap to provide a soundtrack for your ascension process and the solstice celebration! The podcast is broken up into 3 parts: Decolonize Your Mind 101, Ascension Workshop, & the Fam Livication. Download the mp3 or listen to it using the media player below. Links also provided in the tracklist to the free tracks direct from the artists. My gift to the global fam. Happy Solstice! FiNALLY. After months and months of setbacks and broken computer downtime, it’s my pleasure to present to you the Redemption Sessions podcast #2! 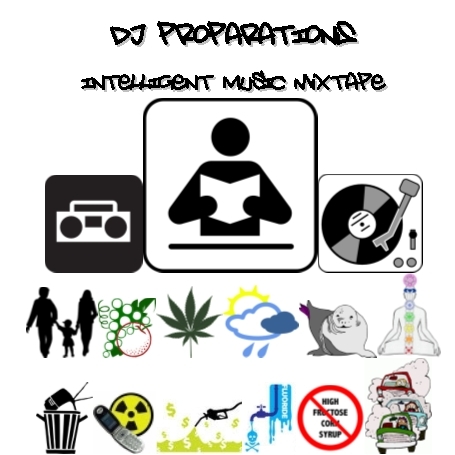 This installment includes tributes to MCA & Trayvon Martin, as well as tributes to the Fukushima victims/survivors and (because it’s that time of the year), one more remembrance livication for Hurricane Katrina victims/survivors. The amount of heaters and upliftment on this 4 hour and 30 minute 55 song marathon is so ridiculous, it’s not to be missed! Tracklist provided below. Use the embedded audio player to listen or click on the download link to grab the mp3. Due to the length of the show, 2 different download options are available. Tracks in the Trayvon Martin tribute by Jasiri X, Mista F.A.B., dead prez/Yassin Bey/mikeflo & are free to download individually on their respective websites. Click on the track names in the tracklist to be navigated there. Tracks in the Fukushima tribute by Mega Ran & i-dep/Shing02 are reasonably priced tunes and I have linked to the artist websites in the tracklist. If you enjoy their music please support these artists! Donations to keep 1213 Radio online and commercial free are being accepted here. Enjoy the show! One Be Lo – G.O.A.T. Who told the record to stop? In honor of J Dilla and in celebrating his birthday this week (Feb. 7th), here is a documentary on him titled Still Shining. “Created in 2006, this remembrance piece is created as a tribute to the memory and legacy of James “J.Dilla” Yancey. This is a piece designed for his fans and supporters who knew of his accomplishments before February 2006 and those that have grown to appreciate his genius. Here, we gain a greater insight and understanding about our musical icon. Please consider donating at www.1213radio.net if you enjoy the blend and navigate to the widget at the top right of the page. All proceeds go to keeping 1213 Radio online! Also support the artists and record labels! There is an extensive links list below to check out. Many thanks to homies that have supported and helped out with the radio station since the beginning: Starwalker, DJ Northafrican, DJ Irs. Also a special thanks to Berkeleynative, the Access Hip Hop shop in SD, and to the hip hop & local and global community who have linked… to those fighting day in and day out for equal rights and justice for the oppressed and people everywhere. A part of the elite, architect, elegant, ambitious devils with class. Christopher managed to borrow the cash, the beliefs of the queen along with the mass. Demonic thoughts in his skull like glass, sharp when lunged in a wind blast. At glance they seem to glow, low and behold truth unfolds. Proof savagery eminently awaits, but still their cold affects the souls of what he thought were the Indies. When arriving at an island named Borinquen, the shadows in the trees that were already there to greet him decided to leave that glow sinking at the expense of their extinction. Asking themselves, what kind of god would suffocate, should we kill them all they ponder in the presence of a drowned god. Endorphins started to gather. Striding their inner chaos with three eyes open, rather than panicking their walk displayed the same when they returned to the village. The end of the pillage! The cacique was told, the so called gods are frauds. The bow, the arrow, the spear. Look to your rear, these war assassins are here. Rather be dead than fear. The devils want gold, my people want red war paint. With a blade he slowly crept behind one of the guards, cut his neck from ear to ear, covered his mouth to silence the screams of fear. Blood dripping on the sand with a signal of his hand he gave the command to stand still like frogs will when a bat flies above looking for prey to kill. Swigging from tree vines, sending chills up spines, one started to run but fell when arrows shot his mind. Hiding in the mountains clouds their judgment, but the worry for the village stands above it and to protect it is to love it. The medicine men cant provide cure or immunity for this disease that spreads. Whole families are dead. They knew the battle would never end. Even if the soldiers on the island were defeated they would send more men. Although it was 10 to 1 Tainos still owned the sun. Tainos still owned the sun! Hope rested in their hearts in the land once familiar to their eyes now detached apart from its vibration. The smell of death on inhalation disturbs their concentration. Some of them lost their will for meditation. What an unpredictable separation. Betrayal in the air at all moments. A humming of anticipation, mixed with streams of anger displacement, humiliation. They started pilling the dead forming circles, burning the mounds to chants and drums. Sacred spiritual hums vibrated beyond the watery graves of children with holes in their lungs. The skies lit up like comet tails were in the atmosphere. Lost hope orbiting in the black holes of fear. Peer stares at peer and it appears to be clear Evolution has chosen the mere. Conscious evolution, unconscious evolution steered like Ninas, Pintas, and Santa Marias.